Now Instant Messaging isn't stopping with its usual modes of usage. Looking beyond the current technology, Instant Messaging is undergoing a lot of changes if we right now hesitate to call it a revolution in its true sense. 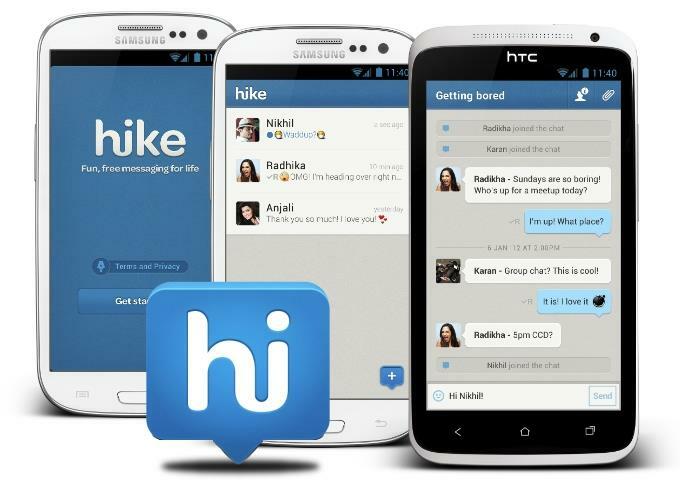 Hike is now on the limelight where both instant messaging and sharing files within a group is made possible without the help of internet. 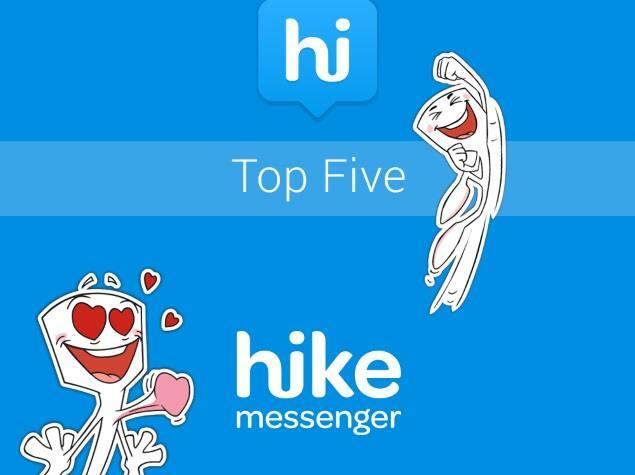 Going a step ahead to WhatsApp IM application, Nimbuzz and Samsung's proprietary ChatON messenger, Hike caught up the speed of success really fast. This app is the original idea of Kavin Bharti Mittal. Developed by Bharti Softbank, it has gone ahead with a 50-50 partnership between the two stalwarts of the Telecom industry, i.e., India's Bharti Telecom and Japan's Softbank telecom provider. To compare apparently Hike is very much similar to WhatsApp, but it is better known as a "cross platform messenger app", that allows the users to communicate through SMS, so that it it can work without a mobile internet connection. It is not that such features weren't present till date, but surely Hike had something extra to be hyped about. 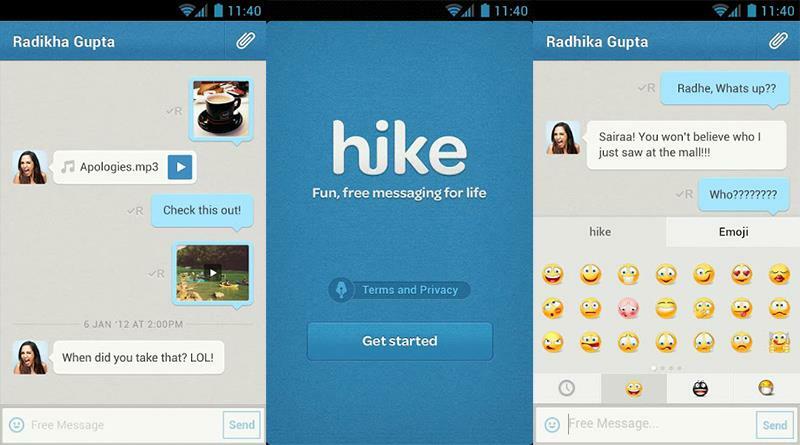 what made Hike different is the way it uses the messaging technology. They make it work in three different ways. The first one is Hike-to-Hike messaging through other phones which is unlimited and is given free for worldwide usage. Secondly, the feature of communicating with other users through their smartphones even if they they don't have Hike via SMS loaded in their devices. But right now this facility is available only within India. The third one gives you the benefit of sending message to any other user through their phone via SMS. At the same time Hike is aware and preventive about the bulk SMS problem and has made a code active which can block an abusive user. To get the users used to it, Hike has stretched alluring offers where each Hike user would get 100 Free Hike SMS per month to send messages to users who have not subscribed to Hike. This offer gets topped up every month. And to reward those Hike users who can get any user join the Hike app on their request through SMS, they will get 10 Free SMS extra and 50 free SMS per month for each new user they have successfully invited to get Hike. Those who invite others through Facebook, Twitter and their personal email would be rewarded one-time SMS bonuses of 100 each. 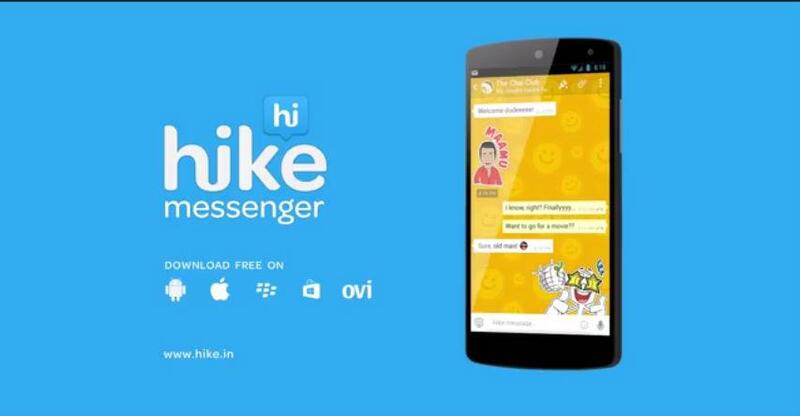 Furthermore, you get Hike Messenger for iOS, Free, Hike on Google Play for Free, as well as in Windows Phone and for Symbian too. The Hike user interface appears on the screen as a simple, clean look with the basic pleasant color of white and blue hues. After downloading the app, it will prompt to enter your mobile number following which a tutorial will guide you through the basics of the app. Just after entering the app, you will receive a welcome message in your Inbox with a reward of Rs.10. After each successful invitation SMS you would be earn a credit of Rs.20. If you have good friends who wants you to earn that amount they have to download and activate the app as soon as you invite them. So a good app to test your friendship as well. Hike-to-Hike communication through instant messaging works as group chat, photo and video sharing, and all these work upright with any smart IM app. You can start a Group chat through the icon placed on the top right corner, a '+' icon is on the bottom right which is the one to to send a new message. The app is supportive of a good range of audio and video formats where uploads up to 6MB for each file doesn't give you any trouble. The app will integrate the entire existing phone contacts of the user. The app has a series of well-placed menu options that goes on like Home, Invite Friends, Free Messaging and others. A left swipe and a right swipe will display the Search bar, the Favourites and the Friends on Hike. The User Interface and its functionality on both the platforms of iOS and Android is more or less the same. But the hitch is for the Android users who will not be permitted to play .mov files that they receive from iPhone users. The Hike company got the complaint and has declared plans to fix it soon so that it works equally for every device user. Hike works on all major platforms like Android, Windows Phone, Apple and on various Nokia Asha Full Touch devices like Asha 305, 306, 308, 309 and 311. The company has shown its eagerness to launch it for BlackBerry too which would take the app ahead of its competitors. The app is undoubtedly a good and new alternative to the other instant messaging apps that is a great advantage for the youth who are not subscribed to the costly mobile internet packages. So far it is able to deliver a quality performance in tasks like instant messaging and file sharing. So it is affordable, lucrative and worth having. Any new platform for closed chatting would face the problem of lacking number of users. Nothing different with Hike. As today everybody is used to WhatsApp, not many would show interest in getting on Hike. With a few lapse like not supporting video calling like Nimbuzz or voice recording like WhatsApp and ChatON, it might be a hard time for Hike to leave them behind on the first few days. But once people get the hang of saving money with an overall good user experience, it won't take much time to get through. The company has got the motivation to rectify all the negative issues and if things get in place before they lose public curiosity, its going to pick up the speed in spreading wide the hype of Hike. I have used it before on my phone, but could not find it much different than on WhatsApp. The new file sharing without Internet seems to be a good concept indeed. But, I am not sure how it works. However for sharing those files, we already have better file sharing app. The SMS mode, if Hike is not installed on the recipient's phone, needs a little overhauling. It does not provide the name of the sender, but instead it reads as the message sent through Hike. They will definitely need to do a lot of homework to surpass WhatsApp which has become the undisputed king of instant messaging. That was a very useful feedback. The Hike people are constantly howling with advertisement calls and bulk SMS. So it is pretty evident that they want to create a market out of hyping the product and that is where the doubt arises of its worth. Well, not entirely hype. They are capable of what they have advertised. Though I am not using it right now, I have used it for a few days in th past. The referral points and such other concepts are really good enough. The only reason for using Hike is the referral rewards which are due to downloading and sharing the APP. I have downloaded it for the same purpose.